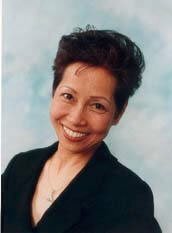 Dr. J. Peggy Adeboi is in private practice as a therapist and energy worker (Healing Touch Certified Practitioner). She also leads transformative workshops using dreams, creative expression, guided imagery and spiritual healing. She received her Masters Degree in Transpersonal Psychology from the Institute of Transpersonal Psychology, with a Certificate in Creative Expression. She is a certified Clinical Hypnotherapist and DreamTender. She received her clinical training in DreamTending from Dr. Stephen Aizenstat, founder of Pacifica Graduate Institute. Dr. Adeboi also holds a Masters Degree in Divinity from the University of Spiritual Healing & Sufism. She weaves movement and Creative Expression into the experiential work of DreamTending, creating an intimate relationship to the living images of dreams. Her PHD in Art History, plus twenty years of experience working with art images find new application in the exploration of personal imagery. For the last five years, she has incorporated energy work in her private practice as well as in her workshops. Dr. Adeboi is available for private sessions, presentations, workshops and retreats.